13 fires a day in past 6 years, number of big blazes swells: Mumbai fire brigade. 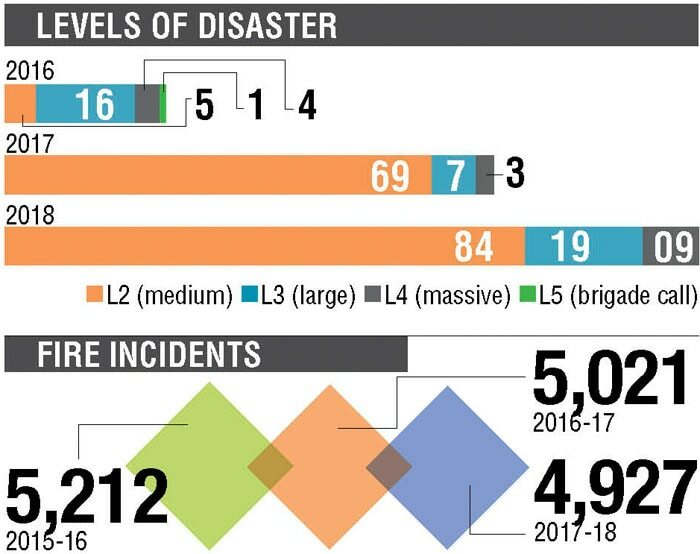 Though the number of total fire incidents in the city over a year have remained more or less the same in the last few years, the number of medium-level and high-level incidents increased twofold in 2018 over the year before, data obtained from the Mumbai fire brigade has revealed. Chembur fire The fire at a residential tower in Tilak Nagar in Chembur left five people dead at the end of December. The fire officials have blamed haphazard parking, traffic snarls and public apathy towards compliance of fire safety norms for the rise in major fires. On an average, there have been 5,000 fire calls in a year in the last six years. This means an astounding average of 13 fires a day breaking out across the city. Though the number of incidents did not go up last year, there was a sharp increase in the number of massive fire calls, especially in the month of December. The fire brigade declares the severity of the incident on a scale of one to five, where one is low-level and five is a massive fire, or a 'brigade call'. In 2018, there were 5,113 fire incidents of which 84 were of Level 2, which is a medium-level fire. Nineteen incidents were Level 3, and nine incidents were Level 4. This means that there were 28 massive fire incidents in which 30 people died. In the previous years, the number of massive blazes was low. In 2017, Level 3 and Level 4 fire incidents were around 10 and in 2016 the number was 21. "If the fire brigade reaches the spot on time, they can cover it before it turns massive. Now with technology, the fire brigade receives information about the incident in no time. But the travel or response time is beyond our control due to a host of factors," said a fire brigade official. "Response time has increased due to traffic jams and illegal parking on the roads. The Tilak Nagar fire in Chembur, in which five residents were killed, is an example of this. 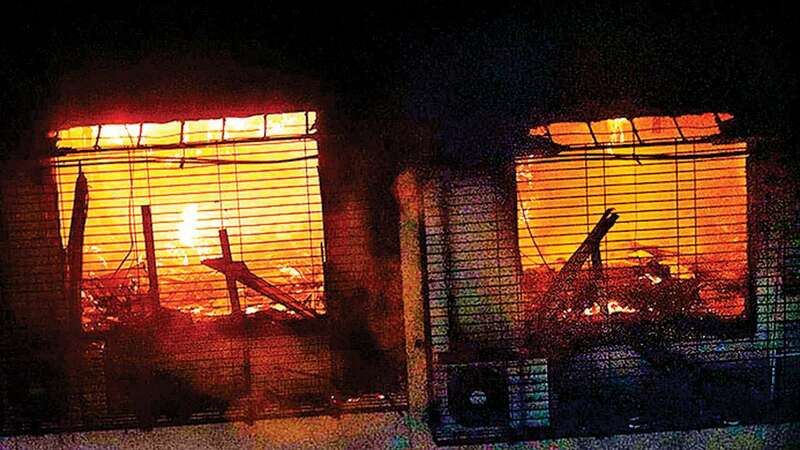 Besides, people's lackadaisical attitude towards compliance with fire safety rules and regulations is a major issue," said Prabhat Rahangdale, chief fire officer.